As we all know, Facebook is an endless source of excitement. 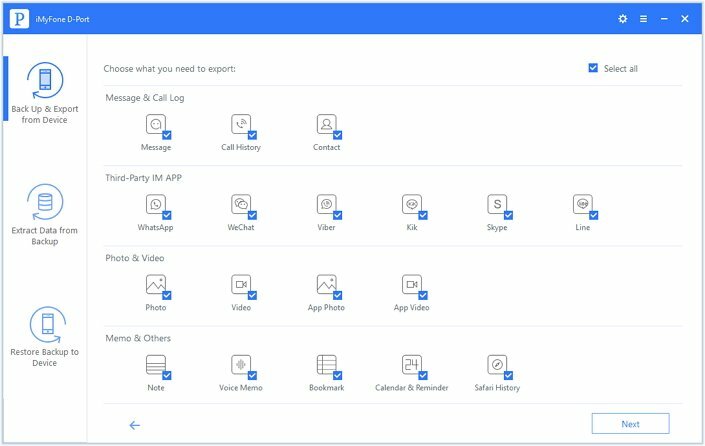 Apart from connecting you with millions of users across the globe, Facebook offers you plenty of multimedia content to enjoy. However, if you need to see those funny or useful videos once again, at another time, you should save Facebook videos to iPhone. Otherwise, navigating to the same video on Facebook can be a dauting task. 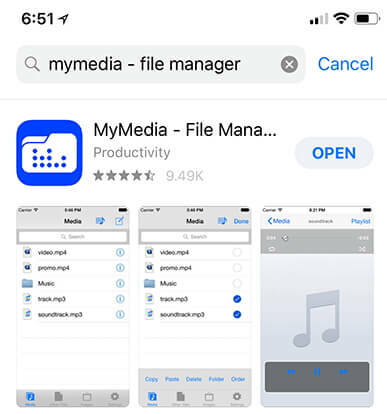 If you are an iPhone user and wondering how to save video from Facebook to iPhone, this article can be of a great assistance. Once you have downloaded videos from Facebook to iPhone, you can watch them later on without having an internet connection and without taking the trouble of navigating through the pages. Although downloading Facebook video to iPhone is not a straightforward process, this article makes it easier for you. Read on if you need to know how to download videos from Facebook to iPhone. If you want to save Facebook videos for later viewing on your iOS device, you can do it pretty easily. 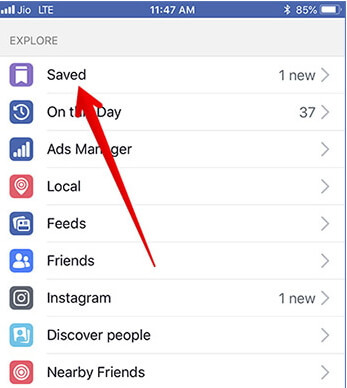 However, this method doesn’t allow you to save videos to the device locally; instead, the videos will be saved on your Facebook profile itself. You don’t need to use any app to get this done. Launch your Facebook account using your iOS device. Then, go to the video you need to save. When the video plays, you will see three dots at the top righthand side and tap on it. Now, your video will be saved and you can view at whenever you need. To view the video, you can simply launch the app and go to more button located at the bottom of the screen. Then select “Saved” option. If the video is not available there, just go to the “Video” tab to locate the clip. 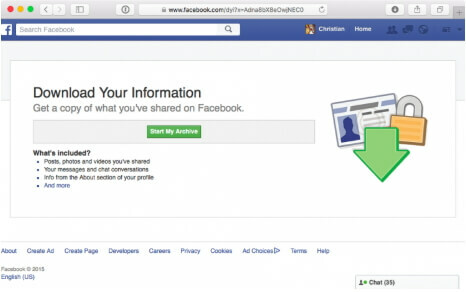 Facebook lets you download all the stuff posted including photos and videos in the form of a ZIP archive. To download this archive, you can do the following. Go to your Facebook account on the computer -> Settings menu -> General option. Click on the option called “Download a copy of your Facebook data”. Follow the onscreen instructions to proceed. Once the file is ready to be downloaded, you should get an email and click on it to confirm. The file will be stored in your Mac. Extract the ZIP file. Open the “index.htm” in a web browser and click on Photos or Videos link. Right-click on any file and save it to your computer. To save Facebook video to iPhone easier, you can use a third-party app too. In this case, we will be using an app called MyMedia. Download MyMedia and launch it. Go to the video you need to download. Click on share button and select the “Copy Link”. Select “Browser” tab on MyMedia app and go to fbdown.net using any web browser. Paste the link you copied a little earlier and tap “Download” button. Download the video either in Normal or HD mode. Save it using an appropriate name. Tap back button and tap on Media tab. Tap the name of the video and select “Save to Camera Roll”. Download Browser and File Manager for Documents and open it. Type in pickvideo.net on the address bar. Paste the link of the video on the search box and hit Download. 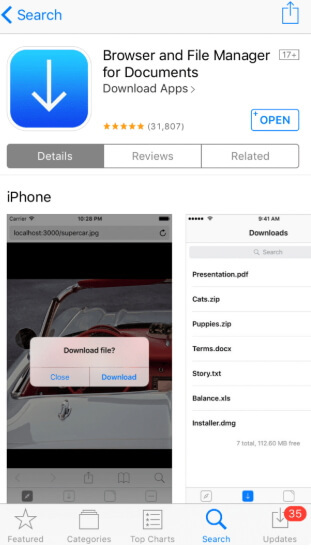 Once the download is completed to go the files tab to view the downloaded files. You can tap on Save Video option and save it on the iOS device. If you need to export the most important data from your iOS device to the computer you are using, you should use a trusted software like iMyFone D-Port. As of this writing this software doesn’t support exporting Facebook data for now. However, such feature will be integrated soon to this software. We expect that you would make the best use of this article and get to know how to download videos from Facebook to iPhone easily. We appreciate if you can share your experience with us by leaving a comment.